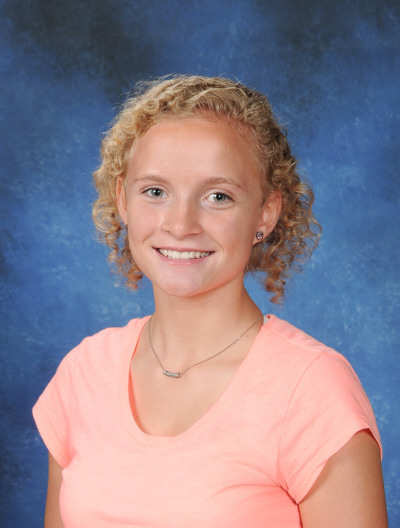 Tyla Engstrom, an eighth grader at View Ridge Middle School, has earned a spot to compete nationally in the National History Day Contest in Maryland in June. National History Day (NHD) is a nonprofit organization that creates opportunities for teachers and students to engage in historical research. Through the NHD Contest, students examine history by selecting topics of interest based on an annual theme. This year’s theme is Conflict and Compromise in History. Engstrom’s project, entitled Sophie Scholl and the White Rose Movement, is a monologue she wrote based on research she did on Scholl, a German anti-Nazi political activist. Engstrom herself performed the monologue at the school competition, then at the state competition where she qualified to advance to nationals. According to Smith, all eighth graders at View Ridge Middle School complete a project for National History Day. The National History Day website estimates that more than half-a-million students participate in the contest annually. The national competition will take place at the University of Maryland, June 10-14. Engstrom will be competing among 3,000 students from across the United States, Guam, American Samoa, Puerto Rico, and from international schools in China, Korea and South Asia. For more information about the National History Day Contest, visit www.nhd.org.